Customer service does not end after providing the customer with best solution at competitive price rather it starts just after that. After purchasing any product customer analyses the kind of service which is being provided by the company. 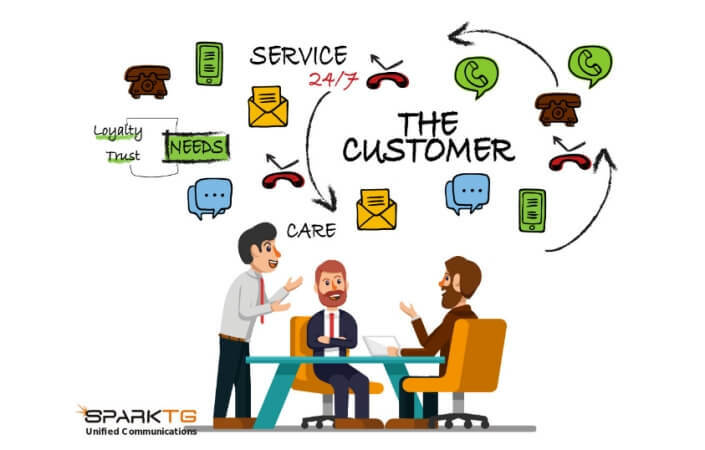 Customer service has become such a big selling point now-a-days that even before purchasing of any hardware, software or even daily need product, customer wants to know the kind of service which is provided by the company to its customer. Customer service is important because after spending a part of his income s/he needs an interface where using which the customer can actually communicate about his experience with the product. Giving customers such platform forms an attachment between the customer and the company. It creates a trust over the product and the company; for which he is spending. For a new customer service gives the courage to try that product and initiate interaction with the company. Customer service also helps the company differentiate from its competitors, most customers today consult the customer service before purchasing any of the product to know the after sales experience with the company. For example, two companies selling the same product and at the same price but one giving the customer support will be always the first preference of the customer. A number of times some companies even take a premium to provide the quality customer service. A company with good customer service will always be the customer’s first preference for purchasing the product. Customer feels connected with the organization. He feels himself to be an important part for the company. This makes customer spread a good word of mouth about product and service which in turn helps in increasing the sales & profit for the company. Whereas company having bad or no customer service will be the least preferred option for the customer, which gives a negative impact on the business. Some customers rather would prefer to go to a new service provider than to burn their fingers again. It is a known fact that it costs seven times more to acquire a new customer than to retain. Since the existing customer is already aware of company and its product without any additional expenditure a new product can be easily sold if service has been good, whereas to sell the same product to a new customer company has to incur costs in advertising, marketing and other sales expenses. It’s long been known that the probability of selling to an existing customer is 60 – 70%, while the probability of selling to a new prospect is a low of 5-20%. Therefore, the efforts that go into maintaining quality customer service really pay dividends over time. Customer telling the other customer about the experience is the free advertisement which is more authentic, and useful than any of the paid advertisements. “Word of mouth” has more values than any other advertising methods. People who have a positive experience with a company’s customer service department are more likely tell two or three others about their experience, according to Consumer Affairs research. Therefore, quality customer service is the best source of promotion for organizations. Contrarily, a person who has experienced a substandard customer service experience is more likely tell between nine and 20 people. Customer service is one of the important aspect of the company, which acts as the face of company. Unfortunately lot of companies fail to understand the same and fall flat on face. Customer service gives customer a medium to interact with the company.As long as a customer owns a product, they expect to get a service for it. Some of companies charging premium and yet selling their product because of their exceptional customer service for example IFB, American Express, Apple, and many more.